The Easter season is a wonderful reminder of the magnificent potential of change. When you sit down to write, think about the change that takes place in the story. Many readers will join our story “before” the resurrection. In order to engage the reader in the story, be sure to give enough detail about what happens “before.” In any story tell about life before God’s intervention. This can reveal to the reader how dramatic the difference is when you describe what happens after God enters the scene. The world is an anxious place these days. The restlessness is bringing readers out of the woodwork. They are seeking some hope and consolation. Maybe they need a laugh, or maybe they have never heard that “God works all things for the good…” (Romans 8:28). The good news is that people are surfing the net, reading more and looking for answers in record numbers. This is a great time for faith writers to put their stories in print. Help tell the story of God at work in your life and the world around you. These are days when we have a hope that people need. Think of the difference your story can make. Schedule a time to identify one story a week or month and try to get it written. Send it to Next-Step-of-Faith or to your favorite publication. Keep writing. Use these tips to help this become the spring time of your call to be a faith writer. Recognize the joy in the story and the difference God makes. Identify one incident or experience of your life and outline the beginning, middle and end of the story. Review your outline and look at the beginning as the “before” God’s blessing or intervention. Create a strong and captivating opening paragraph to attract the reader. Center the middle of the story around what changed and prepare the reader for the drama that is about to unfold. Bring forth the life of the story and the result of God’s grace in the third part of your outline of the story. Deliver the dramatic and compelling truth of how God reigns. Invite the readers to action in their own lives. Revise and rewrite your story to make it as vibrant as spring and as glorious as Easter morning. Read your story out loud and make sure you have captured the emotion of being transformed. Will your reader laugh or cry with you when they read your story? The stories written on our hearts stir our emotions. Let your writing touch the heart of your reader. 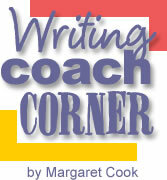 Copyright © April 2009 – Margaret Cook. All rights reserved.